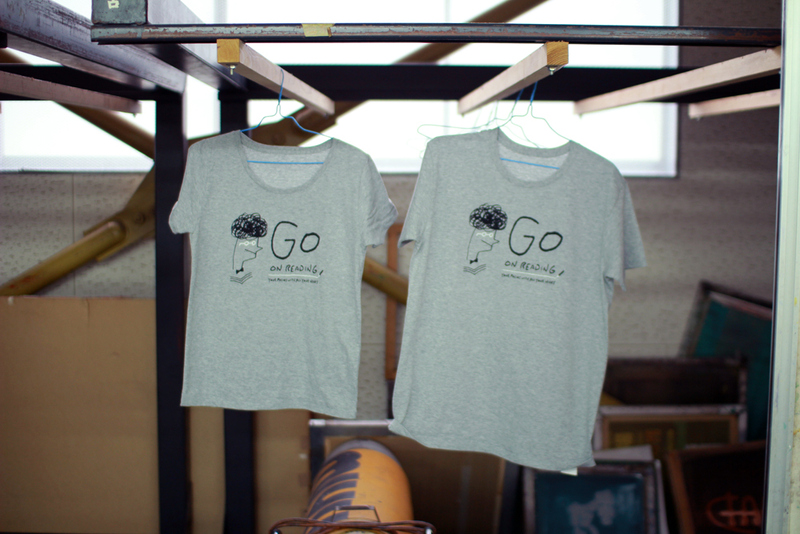 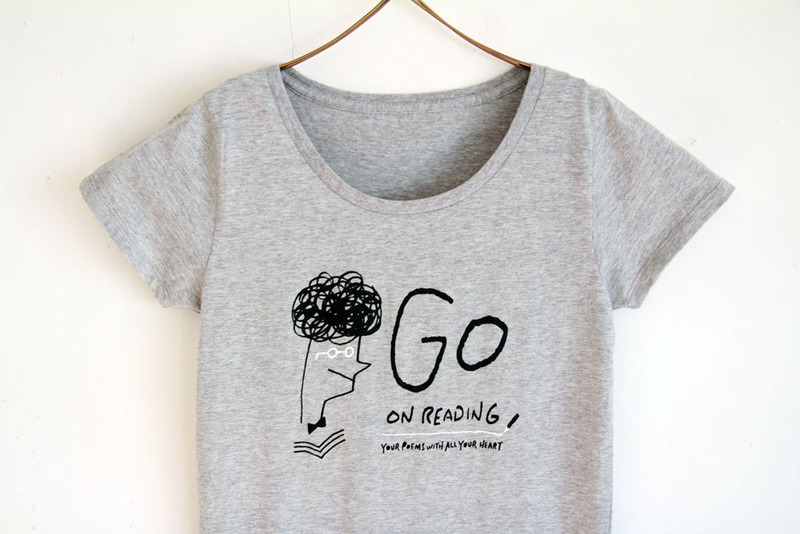 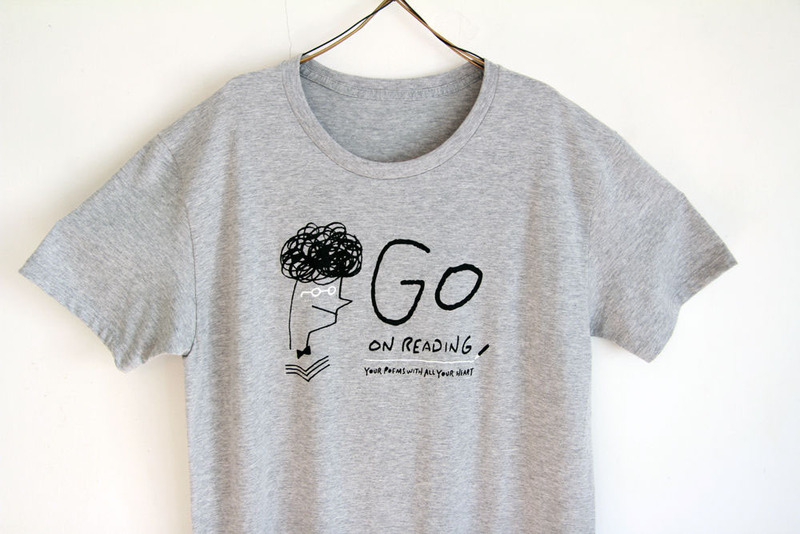 This t-shirt was made as original goods of the poetry reading party “GO ON READING” which was held in Tokyo on October 2013. 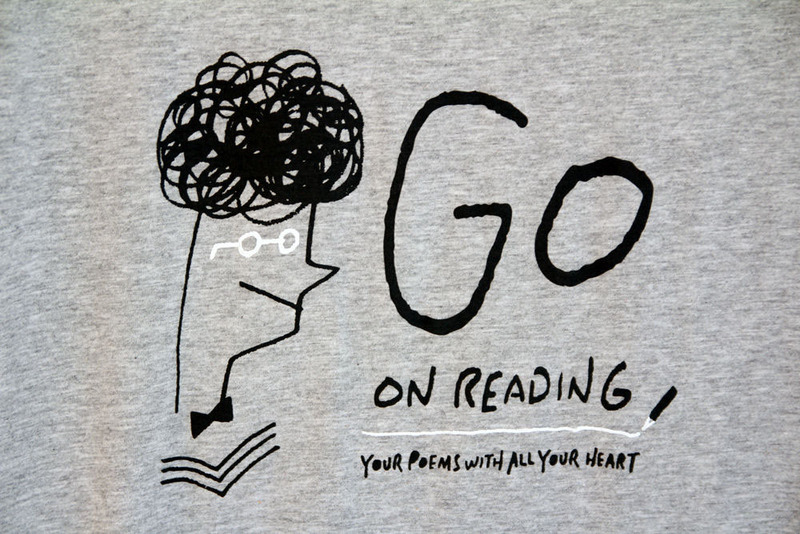 The message on the t-shirt says to us, “go on reading your poems with all your heart”. 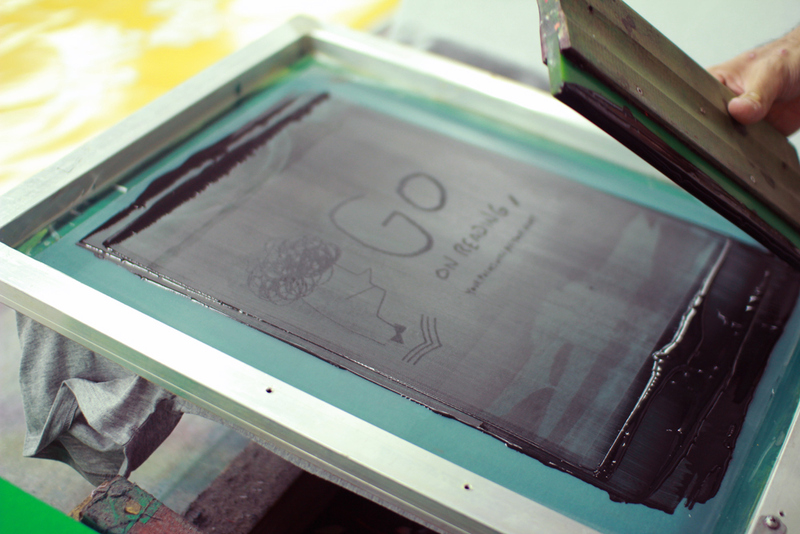 It produced by the stencil process called silkscreen. 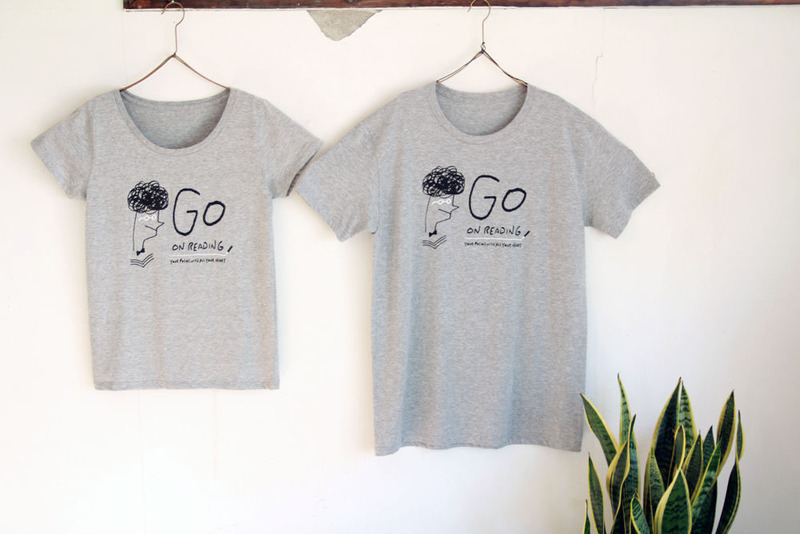 Now, it sells at a studio of Shiteki-na-Shigoto, some events and online website.